Bimatoprost is a prostaglandin-like analogue that can reduce the pressure inside the eye. It is an ophthalmic drug which is now used in women's cosmetic and in eye treatment for humans. Bimatoprost promotes the flow of the aqueous humor, the liquid in the eye between the cornea and the lens. But what are its real usage, contraindications and side effects? We will seek to touch up on these in this article. Women can finally discard their false eyelashes. The Bimatoprost solution, through a daily application, has been proven to have the ability to increase the growth of the eyelashes in a simple treatment. Before now, scarce eyelashes always had only two solutions: the use of mascara or false eyelashes. But, nowadays, any woman can wear naturally perfect eyelashes, thanks to Bimatoprost. The use of topical Bimatoprost to treat hypotrichosis (shortage of hair) of the eyelashes is an auspicious and positive novelty to treat a hitherto insoluble problem. This substance stimulates the growth of the eyelashes and helps them grow longer, thicker and darker. Bimatoprost is often used to reduce eye pressure during open-angle glaucoma or when the pressure in an eye is too high. The treatment thus preserves the retina and the optic nerve which can be degraded by too much of pressure in the eye. In order to understand the reason for the usage of Bimatoprost to correct glaucoma, let's go on a quest to understanding what glaucoma is and if they can be prevented. What is glaucoma and why does it occur? As previously mentioned, a healthy eye continuously produces a fluid called aqueous humor, which circulates in the anterior chamber of the eye. The aqueous humor is removed through a drainage system called trabecular meshwork and located at the angle that forms at the junction of the iris with the cornea. If the aqueous humor is not eliminated to the same extent that the eye produces it as a result of a loss of efficiency of the drainage system or its obstruction, then it accumulates inside the eye and causes an increase in intraocular pressure. In the first case, it is a more or less progressive process and in the second one, sudden. If this situation does not receive adequate medical treatment and the intraocular pressure remains high, then it can lead to damage to the optic nerve and consequently blindness. This pathological picture is what is called glaucoma. The most frequent type of glaucoma is the so-called open-angle glaucoma. It does not usually cause symptoms and is characterized because the accumulation of aqueous humor is progressive since it still occurs, draining it through the trabecular network, although not in the necessary amount. But there is another type, closed-angle glaucoma, in which blockage of the drainage system occurs, causing the sudden rise in intraocular pressure (IOP) and a clear symptom picture that involves redness and pain in the eye, vision disorders, nausea and vomiting. In this case, it should be treated immediately. On the other hand, it should be noted that glaucoma can be primary, that is to say, it constitutes an independent or secondary pathological entity, in which case it is associated with previous illnesses whose evolution triggers its development. The causes of glaucoma can be very different. In some cases, there is a hereditary component (congenital glaucoma) whereby the aqueous humor drainage system fails to develop properly; and in fact, family history is considered a risk factor. It can also be a direct consequence of other ocular conditions. But there are other factors that predispose to suffer it: smoking, type 2 diabetes, high blood pressure, etc. Finally, glaucoma can occur due to an ocular trauma that generates an increase in IOP, as a consequence of an internal hemorrhage of the eye, as a complication of ocular surgery, the obstruction of blood vessels of the retina or as a result of prolonged treatments with corticosteroids. Age is an important risk factor for glaucoma, especially after 40 years. It, however, begins to multiply from the age 60. Another risk factor is myopia. Bimatoprost is a substance used in glaucoma for the treatment of elevated intraocular pressure. To better understand how Bimatoprost works, it is necessary to know the cycles through which the growth of the eyelashes goes through. Anagen Phase: It is a very active stage, where the growth and determination of the length of each eyelash occurs. Catagen Phase: It is a period of growth interruption and regression of the structures involved, through programmed cell death (apoptosis). This produces chemical and structural changes. Telogen Phase: It is a resting stage, where there is no proliferation of new eyelashes or growth, although the already grown eyelashes already can be seen in all its magnitude and splendor. One of its side effects is hypertrichosis, also known as the werewolf syndrome, where an excess of hair is perceived. Used with care, the Bimatoprost can correct the sparse eyelashes. Scientific studies suggest that Bimatoprost acts in the anagen phase of eyelash growth. This intervention occurs in two ways: the eyelashes grow longer and the percentage of hair follicles increases. The Bimatoprost solution gives excellent results in women, who for genetic reasons, diseases or aging, wish to improve the appearance of their eyelashes. It treats for a topical use, of fast and simple application, that must be applied every night in the upper eyelid of each eye, through the disposable applicators that accompany the product. The first results begin to be observed generally after two months of treatment, reaching its maximum level at four months. The results are gradual but highly satisfactory, although the effects may be different in each eye. It is recommended not to interrupt the applications to maintain the results obtained, incorporating the process into the daily beauty routine of each woman. Topical Bimatoprost will only increase the growth of the eyelashes while it lasts, since, once the application of the substance is suspended, the eyelashes return to their original appearance after a few weeks or months. Wash hands and face thoroughly with soap and water. Be sure to remove all makeup. Do not let the tip of the bottle or the applicator come in contact with the fingers or with another part of the body or object. Hold the applicator horizontally and place a drop of topical Bimatoprost on the area closest to the tip of the upper eyelid, but not on the tip itself. Carefully move the applicator on the base of the eyelashes, that is, where the eyelashes touch the skin, from the inside of the eyelashes to the external one, as if applying a liquid eyeliner. The area should be slightly moist, but without accumulation of liquid. Dry any excess solution with a tissue. Discard the applicator after applying the solution to an eyelid. Repeat these steps for the other eye with a new applicator. The treatment must be prescribed by plastic surgeons, dermatologists or aesthetic doctors, and is available in pharmacies. The patient must follow the instructions of the recipe carefully and ask the doctor or pharmacist to explain anything they do not understand. Bimatoprost should not be used in any other way than indicated – always with the frequency recommended by the specialist. Eyelash growth will not increase due to abuse of topical Bimatoprost. Neither should the solution be applied to the lower eyelids or on the damaged or irritated skin on the upper eyelids. Before using topical Bimatoprost, the patient should consider the characteristics of his own case and anticipate the problems that could be generated. The patient should inform his doctor or pharmacist if he is allergic to Bimatoprost or any other medication. If you wear contact lenses, the patient should also take precautions, since the solution contains benzalkonium chloride, which can be absorbed by soft lenses. Before applying the solution, the patient should remove the lenses and only replenish them after 15 minutes. It is also necessary to contemplate how topical Bimatoprost will interact with other treatments. 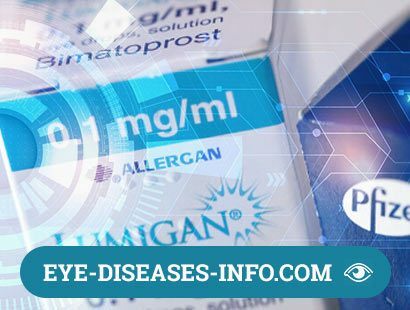 If the patient uses ophthalmic drops with Bimatoprost along with the topical solution, it is possible that the dose of the drug may become excessive. On the other hand, the use of medications to treat eye pressure may be contraindicated, and it is important to warn the doctor of this particular situation, as well as to warn the specialist about any eye condition or possible pregnancy. Bimatoprost is contraindicated in case of allergy to the active substance, or to any of the excipients which make it possible to produce medicated eye drops. Itching, dryness, inflammation and irritation of the eyes. Blurred vision or decreased vision. Darkening of the eyelid skin, which can be reversed if the medication is stopped. Hair growth in other parts of the skin after repeated applications of topical Bimatoprost. Pain, dilation of the small vessels of the eye (called conjunctival hyperemia). Dry eye, watery eyes, changes in iris pigmentation. The eye color may turn to brown, which is likely to be permanent. Abnormal growth of the eyelashes. A change in blood levels of liver enzymes. To avoid these side effects, any excess solution should always be dried outside the margin of the upper eyelid with a tissue or other absorbent material. With any of these symptoms, the patient should contact the doctor. We humans are species that are visually oriented. Our eyes are a part of our six senses. It is one of the most important part of our sensory organ. With it we are able to recognise what is around us. What we see helps us gain knowledge. We rely immensely upon our eyes to notice the details. Some people even have professions in which all the work is done by the eyes. For example, a person testing in a laboratory is everyday exposed to smoke and fumes of the chemicals. A fashion designer, designs the minute details of their material which demands perfect eyesight. Apart from profession our children go to school and focus over the board for notes. While playing in playground focus over the coming ball. We read, we write and all this requires our eyes. But what if this important organ fails to serve our demands accordingly? How is it going to affect our lives, have we ever imagined? Our eyes demand utmost care in order to perform our everyday tasks. There can be numerous reasons contributing to damaged eyes. Age: It is one of the common and biggest factor because of which in old age we suffer vision problems. With growing age, the ability of the different parts of the eyes which contribute to a clear vision start to weaken. For example, our eyes are supposed to form the image over the retina but due to old age it may fail to do so. The image may form either too far causing hypermetropia or too close causing myopia. Blurred visions can also result in astigmatism. 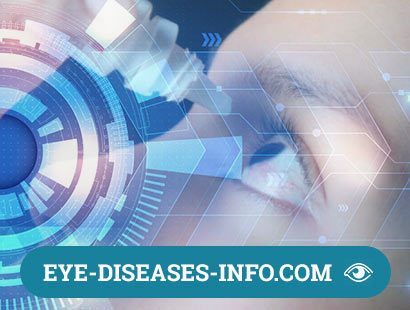 Genetic: Few eye diseases are genetically inherited. If the parents suffer from such diseases the chances are equal for their children to face the same problem. Diseases like acute glaucoma, near-sightedness, far-sightedness, and cataracts fall in this category. Injuries to the eyes: An accident leading to penetration of the object in the eyes can cause serious damage and long term consequences. Direct trauma is also one cause. Even if eyes are exposed to hazardous substances like an experiment in the laboratory exposing the eyes to harmful chemicals, or acids can cause serious problems and leave long term effects. Fractures in facial bones around our eyes can also be one of reasons. Blue Light: Blue light emitted from the electronic devices that we use every day be it laptops or cell phones cause great damage to the eyes. Eyestrain, irritation and also affects the vision. Tear duct problems: You will probably be able to notice such problems after 2-3 weeks, post-delivery. When the real tears of the baby are formed. Symptoms - watery eyes, white or yellow color discharge in the baby's eyes. Solution – consult a doctor, use the prescribed eye drops or ointments. Encrusted Eyelids: If the baby has encrusted eye lids, that is most of the part that touches the eye, then chances are that he may be suffering from blepharitis. Symptoms – red, scaly, swollen and irritated eyes. Solution – consult a doctor and be sure that you are dealing with blepharitis. White pupil: This is dangerous as it can be signs of Retinoblastoma-a rare type of eye cancer. Symptoms – A white glow or reflection near the pupil. Solution – Don't panic and right away consult the doctor, as there can be other reasons for the white glow. Make sure of what you are dealing. Lazy Eye – It is the common name for Amblyopia. It is a vision disorder in which the eye of the child fails to develop the required eyesight till the suggested age. Starts while your child is an infant and grows with age. Symptoms – Vision problems like recognize things from a distance or from near. Solution – Eye patches, lenses, glasses as prescribed by the doctor. Diabetes – Diabetes is a disorder in which the body is unable to produce insulin of the required amount. Children with diabetes face risks of having vision problems like retinopathy. The child suffers from blinding conditions due to damaged blood vessels in the retina. Symptoms - Decreased eye sight. Solution - Self-care, surgery, medication. Color blindness - Children suffering from color blindness fail to recognize some colors. It is generally inherited from parents. Red-green color blindness and blue color blindness are the common types. Symptoms - Unable to recognize color difference. Solution - There is no solution available for this problem. But children can learn color association. AMD: AMD stands for Age-Related Macular Degeneration. It affects the back side of the vision called macula. Macula is responsible for central vision and sharp details.Symptoms-blurriness, waviness, unable to catch details of things.Solutions-recommended eye exams by the doctor at least once a year. Quitting smoking, having a healthy diet and exercises prescribed by the doctor. DME: Diabetic Macular Edema, caused due to leaking blood vessels ultimately damaging the macula. As the macula is affected severely, the central visions start to blurry.Symptoms - Double eye sight, blurred vision. Solutions - Maintaining good blood sugar, healthy diet, cholesterol control, Pregnant women having diabetes prior to pregnancy should take eye exams regularly. Abstract: Air pollution can cause great damage to our eyes. Effects of air pollution on the eye can be minimal to chronic and dangerous. Symptoms-Irritation, Redness, watery eyes. Solutions-If your eyes are everyday exposed to outdoor activities then precautions like wearing sun glasses can help. Wash your eyes as soon as you return home with cold water. If you already suffer from vision problems, then make sure to use eye drops prescribed by the doctor for eye care. Cataract: Cataract is a common disease yet needs to be taken care off or it can lead to permanent blindness. It develops over a course of years. Symptoms - When suffering from cataract your vision becomes cloudy. Solution - In this there is only one solution in which your cloudy lens is replaced by an artificial lens surgically. But the surgery alone is not going to solve your problem. The care taken post-surgery, also to be done with utmost care. Use of glasses prescribed by the doctor, not exposing the eyes to sunlight. Myopia - Commonly called Near sightedness. The condition of the eyes where you are able to view the nearby things clearly but far off things lose their details. It is a common disease found by aged people. Symptoms - Blurry far-sight. Solution - the problem can be solved by surgery called LASIK and refractive surgery or laser surgery, by bifocal glasses or contact lenses. Hypermetropia - Commonly called Far sightedness. It is the opposite condition of the eyes to myopia, in which nearby things seem blurry and the person is unable to recognize the details.Symptoms - Nearby things seem blurry, head-aches, pain around the eyes.Solution - Using a convex lens (facing outward) is a general adopted solution. It basically helps the eyes focus the image correctly over the retina. Conclusion: It's impossible to protect our eyes from every coming danger but as far as possible we should take timely measures for its long term well-being. Adopting habits that ultimately benefit our eyes and regular check-ups. Most of the diseases if diagnosed timely can be solved.